ITNedu and Digital Learning Associates are a team of TV producers and learning resource specialists working on the next generation of ELT learning. We are are passionate about how great video can give English learners confidence and real life experience of the language. This weekend we will be attending InnovateELT as Gold sponsor. 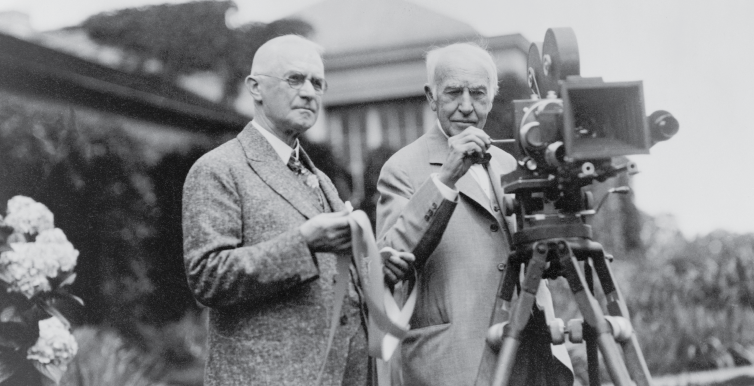 The idea of using film or video in learning is hardly new. In 1913 the inventor Thomas Edison predicted that within ten years books would be obsolete because it was “possible to teach every branch of human knowledge with the motion picture”. Despite some great educational film and TV during the 20th century from the likes of Disney and the BBC, the revolution didn’t happen on schedule. But another revolution is happening. What Edison couldn’t have predicted a hundred years ago was the bottom-up rise of a video generation. Young people, our learners, are not passive consumers of “motion picture” learning in an old style classroom. They are video natives, equally at home with making, sharing and appraising video as they are watching it. Smartphones, YouTube, Snapchat and many other channels have made video a primary communication medium for them. As we gather for InnovateELT under the banner of Power to the Learner it’s an opportune time to examine how the video we use in learning can be more engaging and stimulating for learners and how we can use it to empower them. We think the key is to use authentic video, the sort of content that learners already consume from broadcasting and online. Over the past year we have made over a hundred authentic videos for English learners at all levels. A lot more is to come and our work will soon be launched as part of the course packages that the major publishers produce. We also spend a lot of time with teachers to ensure that the videos work in their classes. They tell us that strong narratives and engaging characters give them lots of opportunities to develop discussion and extension activities. They also report that listening to the curated selection of authentic speakers is a powerful confidence building tool for students. Adam Salkeld is a media executive and documentary film maker with international experience in television, print, new media and strategic communications. Adam has worked in a senior role at the BBC, in the independent production sector and has served at board level in a large multinational media group.